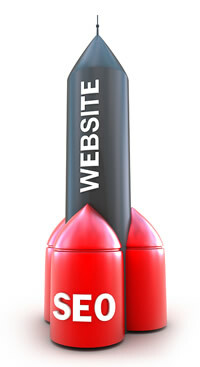 An optimized, clean, & pleasant design is key to rank well with search engines and outperform the competition! Branding goals and online image are our number one considerations in any design work we do for our clients. This is as important for existing businesses as it is for new ones. It is why we spend time learning about our customers and about their target audience. And is the key to ensure our work will blend seamlessly with your established brand. Our solutions are all about you! Our SEO team will work with you to create successful, customer-focused, marketing strategies. These build on the values of your organization and your USP's (Unique Selling Points) to strengthen your customer base. SEO is the process of improving the volume and quality of traffic to a web site from search engines, via search results for targeted keywords. A common misconception is that paid-for advertising (sponsored links) will improve search engine ranking. While that may generate more traffic (for the generation of your subscription) a combination of good web design and understanding of your market remains perhaps the most effective method of SEO.